The first image on the page is for Dmytro Morykit feat. 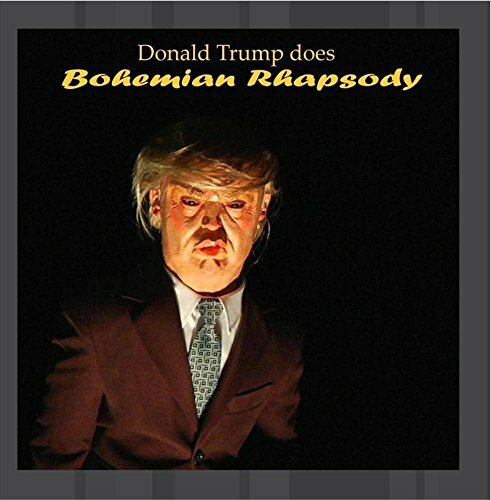 Francis Wright - Donald Trump does Bohemian Rhapsody, followed by the original. Also check out the most recent parody covers submitted to the site. Not Cool. We're still top of the polls, almost double of what second place is getting. We'll have special camps for losers like you. What are you talking about, loser? Trump will never be the GOP nominee by the time it counts and no Republican can get the votes needed to win from women, minorities, the elderly on Social Security, and LGBT. All you can do is get a few Independent votes. The GOP is out of touch with reality. And Trump is blatant racist and sexist. No wonder all the hate groups support him. His following are the worst of America. Hillary has this one. She's got the most political experience of them all, barring Biden as VP. Get a clue, you feeble-minded miscreants! Never fear, we'll build camps for the clueless Democrats too. You mean La Raza, the New Black Panthers, Black Lives Matter, and the SPLC all support Trump? News to me. Man, how the party of the KKK and the gaystapo goose-steppers projects! Gee, what percentage of the black vote is that, less than half a percent? Dream on.